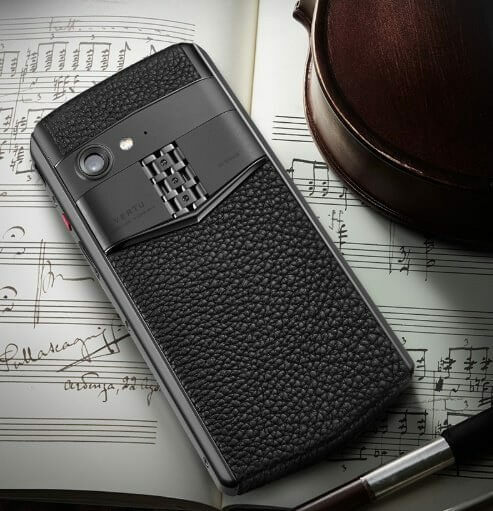 If you've never heard the name Vertu before, you probably aren't alone. The company has made waves in the tech community over the years for selling multi-thousand-dollar luxury smartphones, but it never get enough mainstream traction to remain financially viable in the long run. Indeed, after reports of unpaid staff and mounting debts began to surface in June, 2017, it became clear that Vertu was on its way out. The following month, the phone maker folded entirely. However, its owner, Uzan, reportedly had plans to resurrect the company at a later date - and resurrect the company it has, because Vertu is back yet again with the "Aster P."
The Aster P is a $4,200 smartphone running on Android 8.1 Oreo, with a Snapdragon 660 chip, a 1920x1080p AMOLED display, a 3,200mAh battery, 6GB of memory, and 128GB of flash storage. The Aster P's high asking price may be cheaper than some of Vertu's most expensive smartphones, but it's still far from affordable for the mainstream consumer. Apple's iPhone XS Max is already pushing the limits of what users are willing to pay for a smartphone, and it has decidedly better specifications than the Aster P.
With that said, Vertu's target audience has obviously never been the average user. It's uniquely-designed luxury smartphones are more geared towards wealthier individuals. To that end, what makes the Aster P appealing? To start with, all Aster P devices will be handmade; these aren't mass-produced in a factory. Furthermore, as reported by 9to5Google, the device's 4.9" display is made of 133-carat "sapphire crystal" glass, and it's covered in expensive-looking crocodile and lizard leather. 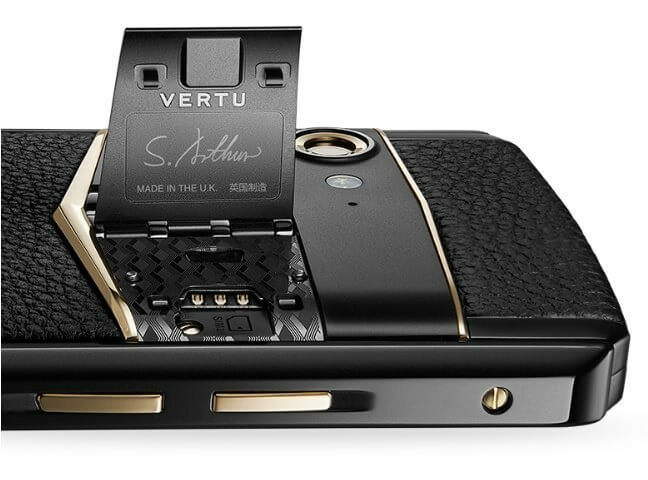 It also has gold trim - it's not clear whether or not it's actually real gold, but given the Aster P's price tag and Vertu's track record, we wouldn't put it past the device's designers. The Aster P is available in China now for 29,800¥, which is around $4295. I like how luxury phones are never have flagship specs. Wendig0 and Athlonite like this. Wendig0 and MaikuTech like this. Not worth it to me though from a price selling point. I know what I want and the tech is not available to us yet. You may as well settle for a good samsung galaxy j7 phone and call it a day. They look alike and don't differ much at all. I never did like gold parts in smart phones, they are brittle and get torn up easily with enough drops. I'm selling the most expensive phone. It's a 5 inch Walmart Galaxy phone that is only 1-2 years old and I'm selling it for $500,000K. The back has Gold letters that say's "SUCKER!" My brother shipped some fakes of these in about 10 years ago, sold like hot cakes for good money on ebay. They were pretty much a 3310 in a fancy case. *****s be *****s.